Now Withings has made its triumphant return, no longer under the purview of Nokia, it's firing on all cylinders to re-establish its name. Just two months after announcing the Withings Steel HR Sport, it's back with a new fitness tracker, the Withings Pulse HR. By Withings' own admission it's a bit of a throwback to the design of the Withings Pulse, the company's first tracker launched back in 2013. However the Pulse HR packs in most of the features found on the more recent Steel HR Sport, including heart rate tracking and a variety of sports modes. It looks like this might be the rumored Withings Go 2. Withings says there are modes for over 30 different activities, from running to yoga, volleyball and skiing. Heart rate is captured at 10-minute intervals throughout the day using the PPG sensor, but continuously during exercise, where you'll also be able to track your heart rate zones. Like the Steel HR, the connected GPS means you'll need to have your smartphone paired in order to map routes. All this information will be available to check in the Withings Health Mate app after your workout. In terms of how it compares to the Steel HR Sport, the Pulse HR doesn't offer VO2 Max tracking, while the battery life is a little shorter; Withings promises 20 days of battery life, which is five fewer than its smartwatch sibling. It will track sleep quality though, providing a sleep score at the end of your night calculated from your length and quality of shut-eye. The Pulse HR certainly doesn't look as good as the Steel HR Sport, going by these press shots, which might be a turn-off for a lot of people when compared to the better looking Fitbit Charge 3 and Garmin Vivosmart 4. The band comes with a black and stainless steel case with black silicone strap, but Withings will be selling a selection of other colored wristbands separately. 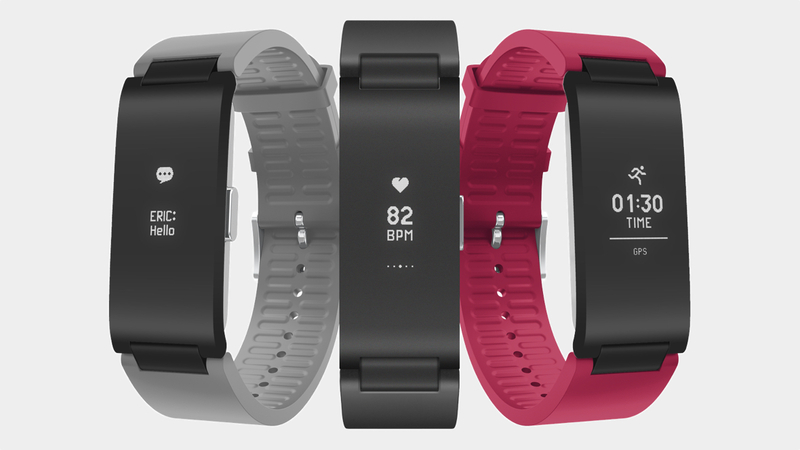 The Pulse HR is available to pre-order today for $129.95 and will ship starting 5 December. Hopefully we'll have one in soon to put to the test.